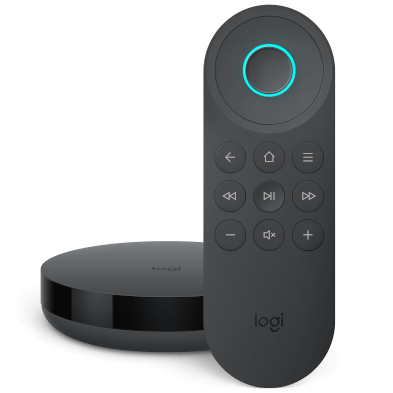 Updating your remote firmware ensures you have access to the latest features, fixes, and security updates. To see what's included in each of our updates, please see our Harmony release notes. Follow the directions below to check the current firmware version for your Harmony hub‑based remote, 950, Ultimate One or Harmony Touch. Navigate to MENU, then > About > Versions. Navigate to Menu, then > Settings > General > About. 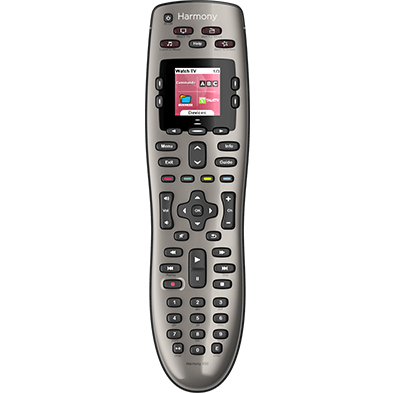 If you're using firmware version 4.x or higher you're able to update your firmware directly from the remote's touchscreen, by using the Harmony mobile app or by using the MyHarmony desktop software. 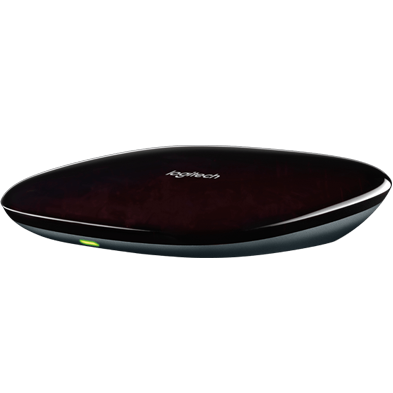 If you're using firmware version 3.x, you must use the MyHarmony desktop software to update your firmware. Navigate to Menu ( or ) > Settings > Sync Remote. 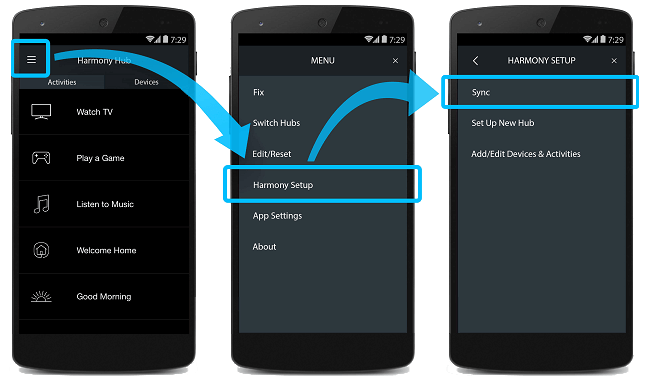 Navigate to MENU > Harmony Setup > Sync. 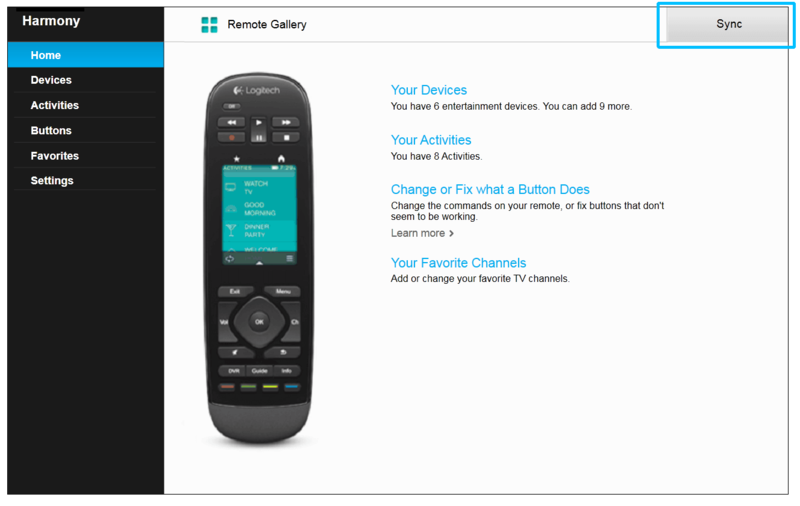 All remotes, regardless of their firmware version, may update using the MyHarmony desktop software. Launch the MyHarmony desktop software and select your remote from the Remote Gallery. Click Sync in the upper right-hand corner, you may need to connect your remote (or hub) to your computer for this step. Follow the on-screen prompts until your remote has finished syncing. Visit our support articles: Harmony isn't being detected by the computer, or Harmony fails to sync. Whenever a new firmware update is available, Harmony Express will automatically upgrade to it. If you would like to manually check for, and upgrade your software, follow the steps below. Automatic updates cannot be disabled. Launch the Harmony Express app and tap Room Settings. Within the Firmware section, tap Check for update. Follow the on-screen instructions to finish updating your firmware.